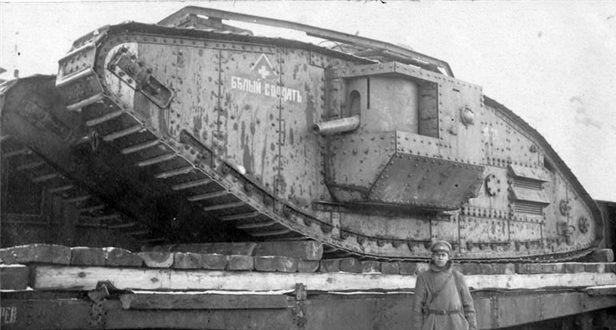 The world biggest tank was built in Russia in 1915 (the designer - Lebedenko). 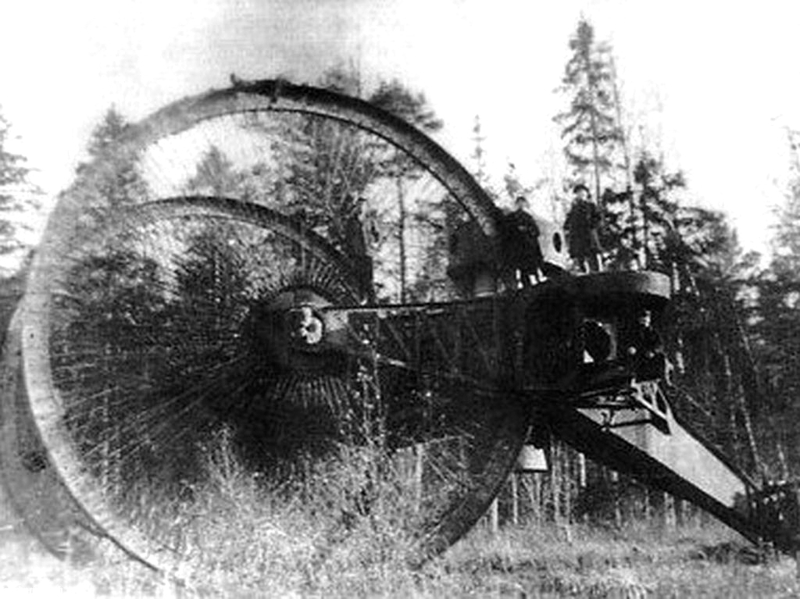 "Netopyr" was the ugly and huge tricycle monster, weighing some 40t; the forward wheels were almost of 10 meters in diameter! The multiply armament emplaced in the left and right sponsors, and upper (bigger) and lower (smaller) turrets. It was powered by 2x240hp engines and crewed by 15 men. While it lacked luxury accessories most of the new military tanks offer today, this tricycle tank got the job done. No one would want to be in the path of this tank's destruction. happened at 15th september 1916, during the battle of the Somme. 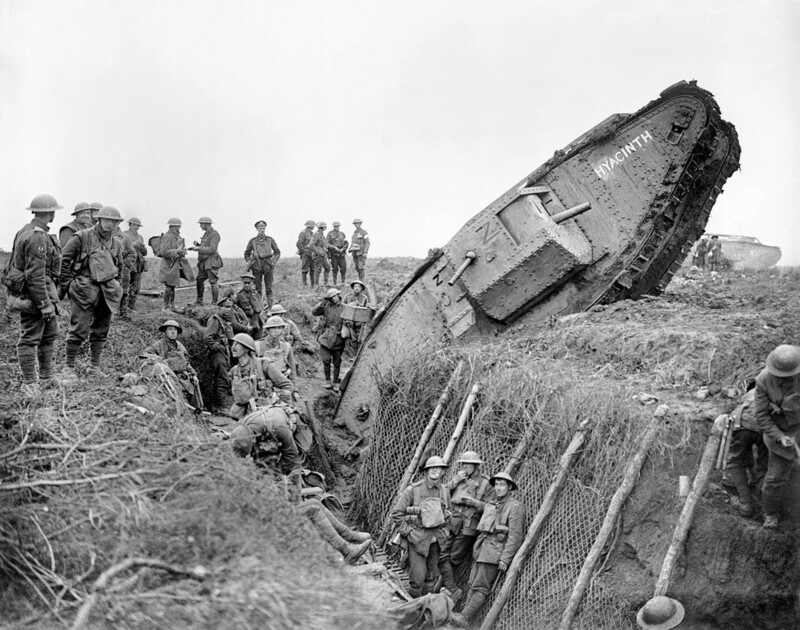 18 British Mk.I heavy tanks achieved the 5km breaktrough. 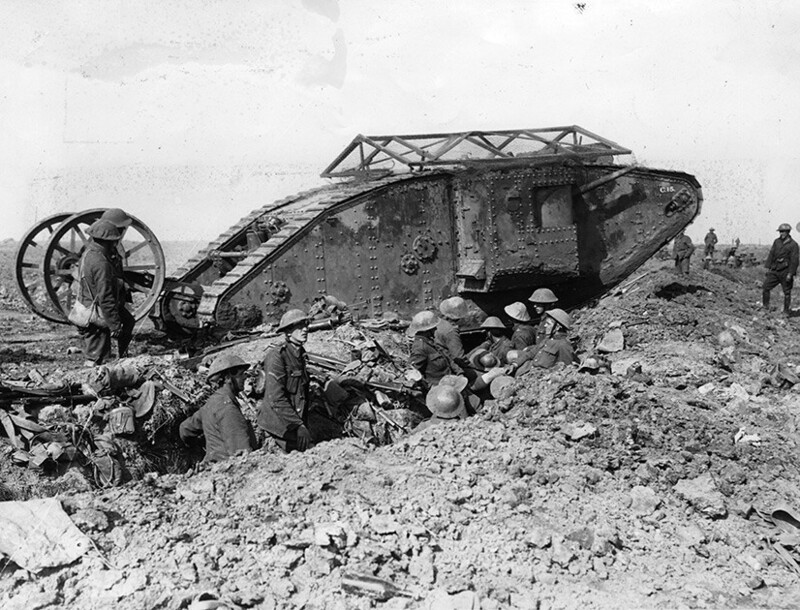 24th april 1918 near Villers-Bretonneux. It was unexpected meeting engagement: three German A7Vs versus three British Mk.IVs (2 females and 1 male). 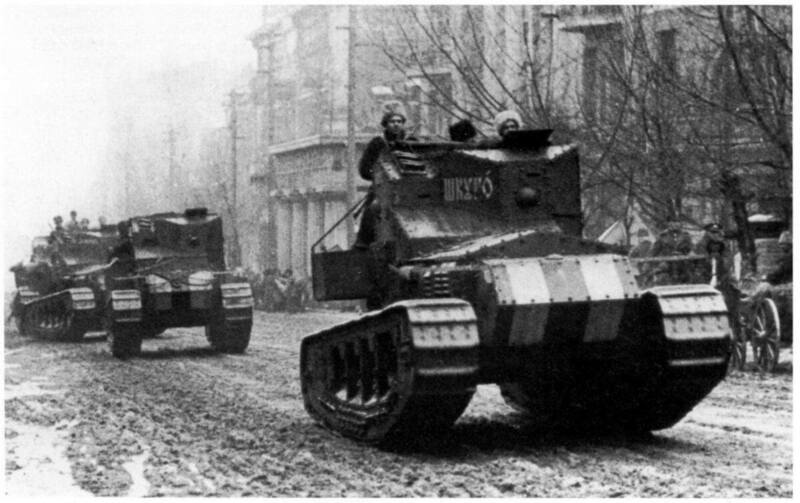 British female tanks took some damages and left the battlefield. But the last Mark IV chooses the tactic, which became the classic one during the next 50 years: constant maunevering and fire from short stop. 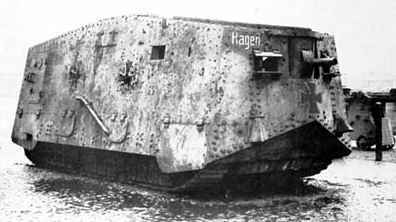 So, in spite of German superiority in number, firepower, armour, speed experienced British crew could achieve the draw: one of A7Vs got 3 hits and was immobilized, 5 men killed; the rest of the crew left the tank. 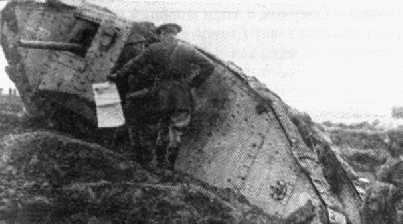 (but the Germans evacuated the damaged tank during the nighttime). Two other German tanks ran from the battlefield. 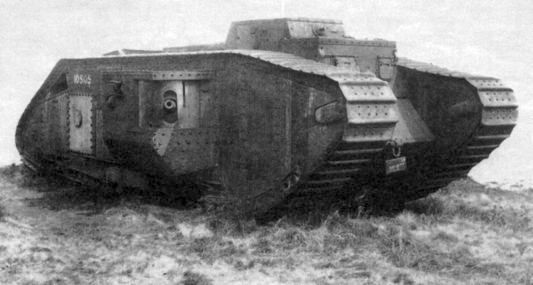 The male Mk.IV was immobilized too. On the same day, one of the left A7Vs met seven Mk.As. 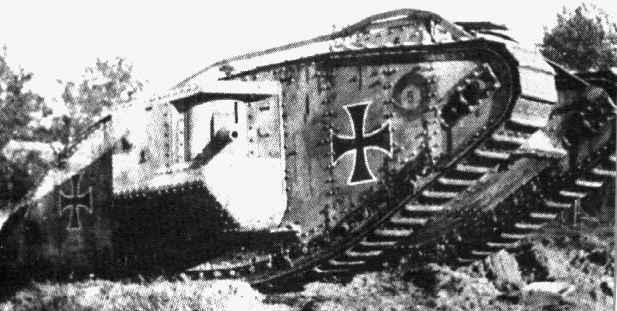 The German tank killed one Whippet and damaged three ones (three more Whippets were destroyed by the German artillery). The battle result isn't amazing - the victory is on the big gun side, the number of helpless Mk.As wasn't matter. On 8th October 1918 four British Mk.IVs met also four German (captured) Mk.IVs. Both sides took losses and retreated. 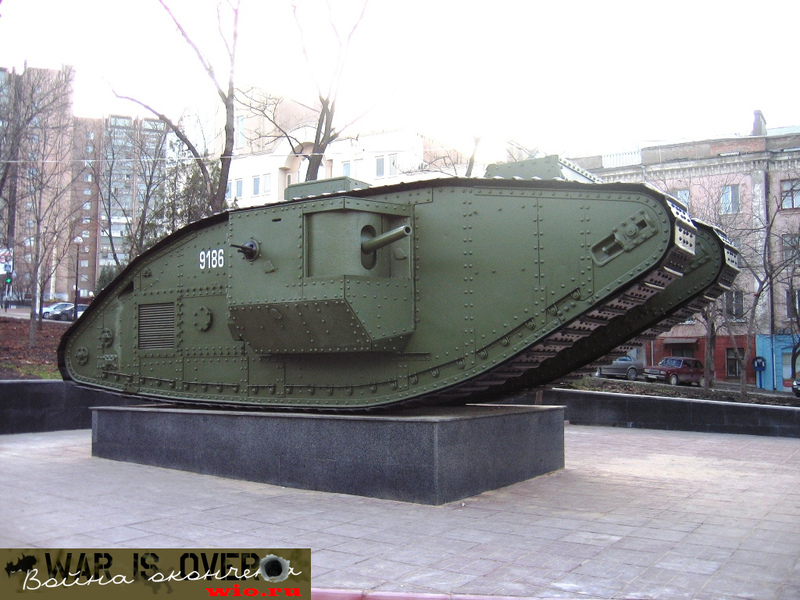 In 1919 the Mk.V tank of the 1st tank division had a fight versus the Red armored train. Both vehicles were damaged. At 3rd Sept. 1920 the Mk.A medium tank (the 2nd tank platoon of the White army), rearmed with the 37mm gun, killed a Red armoured car near Tri Kolodtsa village. That was the only armored victim of the Whippets in the history. At 11th Oct. 1920 two Mk.V heavy tanks of the 3rd tank platoon of the White army had a fight versus two Fiat armoured cars of the 24th armored platoon of the Red army near Tzukur village. One of the Fiats was damaged and captured. 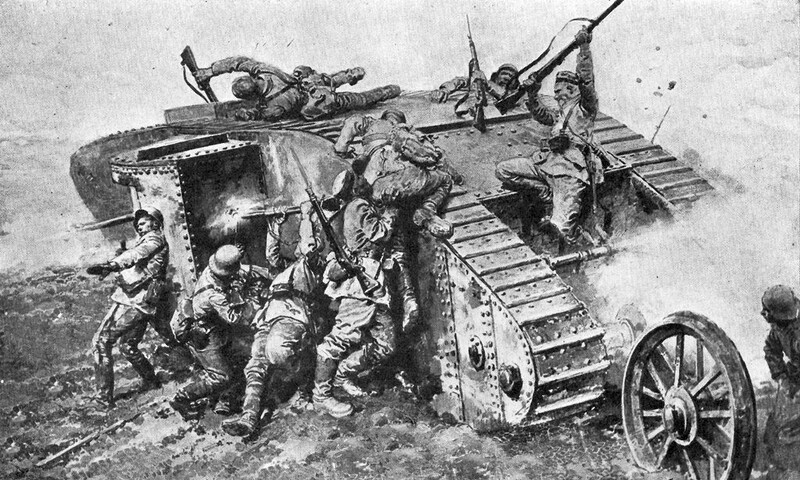 At 14th Oct. 1920 the Garford heavy armored cars of the 42nd armored platoon of the Red army counterattacked the Mk.V heavy tanks of the 1st tank division. Both sides scored one kill each. At 11th Febr. 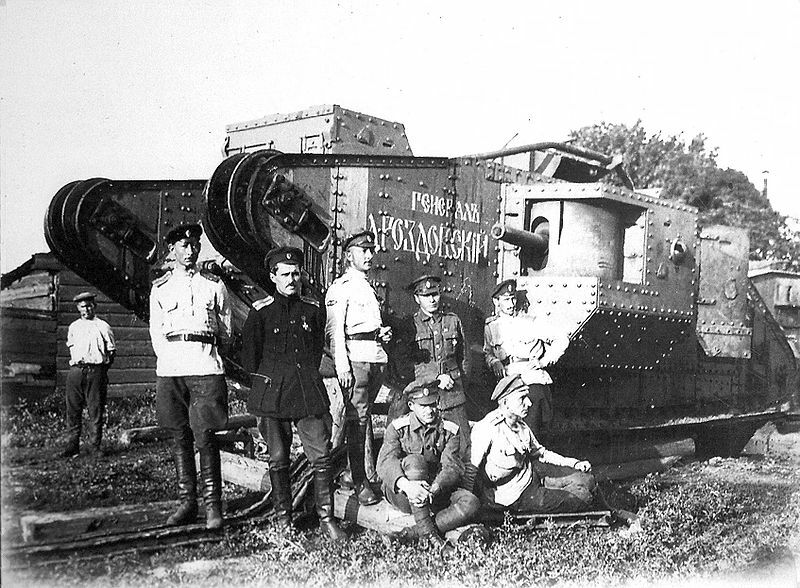 1922 one Red Renault FT light tank was destroyed by the White armored train "Kappelevetz" near Volochayevka. 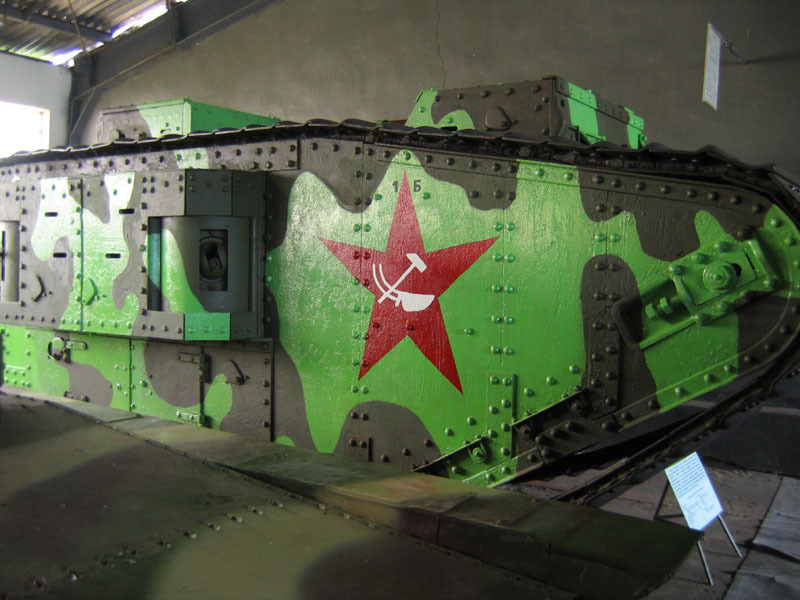 Soviet tank Mark.V in a museum, color photo. ����� 3.3 ����� ������������ �������.